In the wake of several French terrorist attacks that appear to have been inspired by radical Islamic beliefs, including an attack in Nice in July that killed 86 people, more than 20 French towns have prohibited Muslim women from wearing "burkinis." The garments cover most of women's bodies to meet their religion's modesty standards but still allow them to be comfortable at the beach. The new rule has been bad for these women, but it has apparently been good for sales, as burkini sales have actually increased since France's ban. Burkini bans have spread across much of southern, coastal France, where many immigrants (Muslim or not) have made their homes. Lately, the spotlight has been on those Muslim immigrants because of the tension created by the recent terrorist attacks. Now, as many as 26 French towns have burkini bans in place, with many doling out fines to offenders. On Tuesday, photos showed French police in Nice approach a woman in Muslim-appropriate dress on the beach and require her to remove the garment. The public and members of the French government remain deeply divided on the morality of the burkini bans. For instance, French Prime Minister Manuel Valls has said that burkinis represent "the enslavement of women." If burkini sales are any indication, though, an overwhelming number of women simply aren't having the ban. 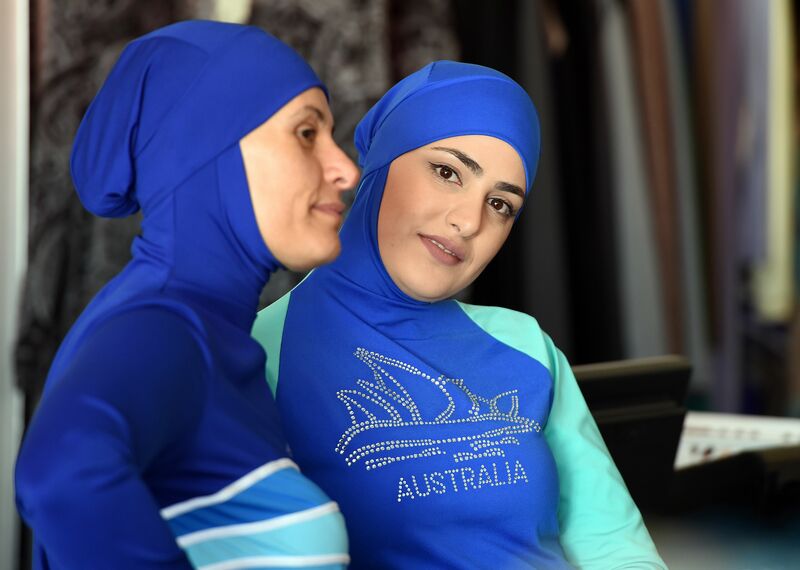 According to the BBC, the Australian designer responsible for the burkini has reported a sales increase of 200 percent online since the creation of the French bans. Aheda Zanetti of Sydney understandably opposes the bans that are spreading across France. She told the BBC, "I know what hijab means. I know what veil means. I know what Islam means. And I know who I am." It seems that many Muslim women will be heading to the beach with the same confidence in their burkinis as Zanetti. What's more, the burkini isn't just for Muslim women. Zanetti recently told Politico that more than 40 percent of her sales are to non-Muslims. The Jewish community embraces it. I’ve seen Mormons wearing it. A Buddhist nun purchased it for all of her friends. I’ve seen women who have issues with skin cancer or body image, moms, women who are not comfortable exposing their skin — they’re all wearing it. Zanetti's sales data should send a strong message to French officials. The burkini has wide appeal around the world, and it's more than a religious garment. In the fight against radical Islam, Muslim women and their allies want the burkini to remain innocent.